Ethel Clarke passed away on January 14, 2015. Ethel was born on August 23, 1917, in Dauphin, Manitoba, to Annie and Leonard Clarke. She was a sister to Mary, Clarence, Lynne, Jim, Evelyn, Florence, Viola, Margaret, Betty and Patsy, life-long partner of Bob Hull, who predeceased her in 2001, and a particularly close sister-in-law and Auntie to Grant (Betty) and their family. Ethel was a strong, independent woman who lived in her own home, and later her own apartment, until her passing at almost 98 years of age. Ethel always kept you laughing with her extreme wit and snappy comebacks. She was very intelligent, especially with numbers, working as a bookkeeper at Wolch Ltd for over 35 years. She had a knack for gardening, dedicating her entire back yard to vegetables, well into her 90’s. Ethel was a wonderful cook, a talented card player and lucky at the casino. She loved watching curling on television and could tell you anything you wanted to know about any of the teams. For never actually playing, or even watching a live game, she would have made an excellent commentator! She would wait by the phone for results when her nephew, and later her great-nephew or great-niece were on the ice, worrying, then celebrating, with every win. 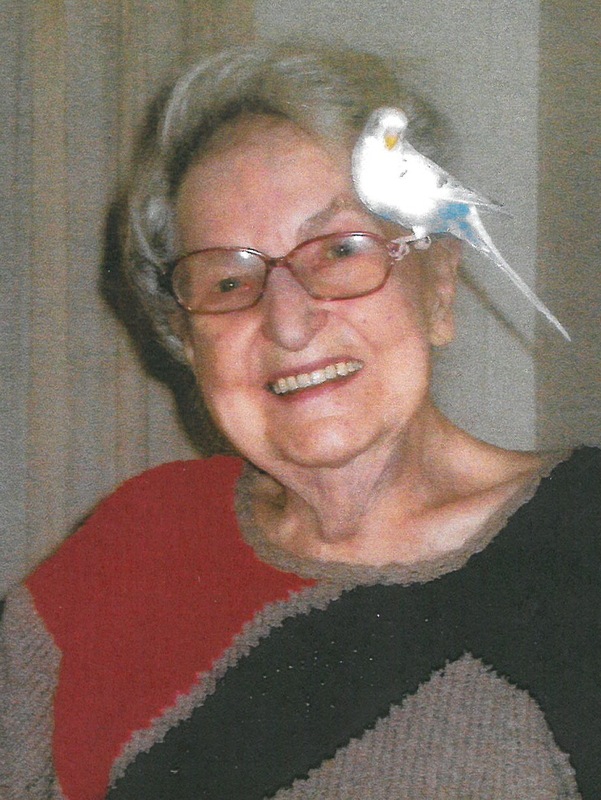 Ethel’s true ‘claim to fame’ was her dedication to her two budgies, first Baby, then Sweetheart (both called ‘Poopsie’), whom she doted on and patiently taught to talk – both having quite an extensive vocabulary! They gave her great joy. Auntie Ethel, you were always a joy, never, ever a burden, and we were privileged to be your family.